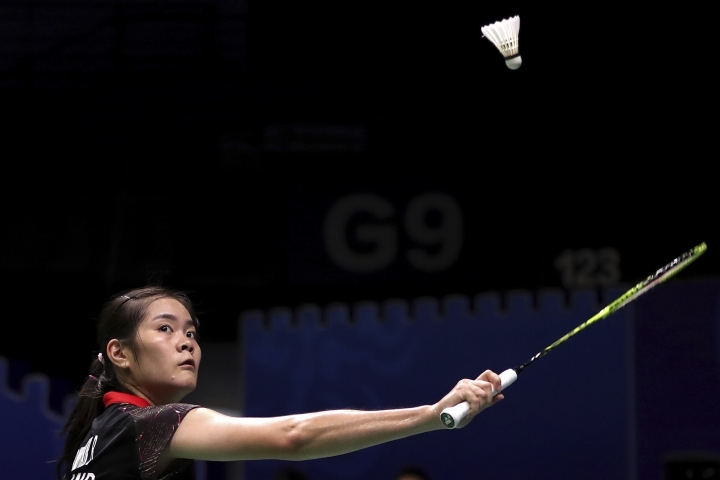 NANJING, China — Top-ranked Tai Tzu Ying of Taiwan beat Australian Hsuan-yu Chen 21-10, 21-16 in her first match at the badminton world championships on Tuesday. Tai trailed 11-9 at the break in the second game before winning 12 of the next 17 points to clinch victory. Tai has been dominant so far this year, with just one loss in 34 matches. She has won the Indonesia Masters, All England, Badminton Asia Championships, Malaysia Open and Indonesia Open. Her only defeat came against Thailand's Ratchanok Intanon in the final of the Malaysia Masters in January. Fourth-seeded Intanon earned a comeback victory, beating Denmark's Mia Blichfeldt 16-21, 22-20, 21-10. The 2013 world champion was down one game and 16-19 in the second. Olympic champion and two-time winner Carolina Marin easily beat Thailand's Busanan Ongbamrungphan 21-9, 21-8. Marin will next face No. 15 seed Sayaka Sato. The 13th-seeded Michelle Li of Canada was upset 21-23, 21-12, 23-21 by Thuy Linh Nguyen of Vietnam. In the men's tournament, sixth-seeded Kento Momota beat Ukrainian Artem Pochtarov 21-13, 21-12 to advance to the second round. 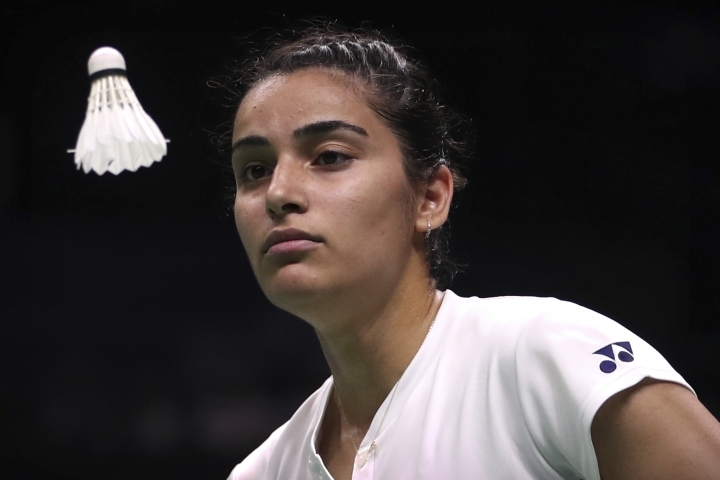 Momota has had a strong 2018 season, winning the Badminton Asia Championships in April and the Indonesia Open in early July, beating top-ranked Viktor Axelsen in the final. He is looking to become the first Japanese player to win the world championships. Fifth-seeded Kidambi Srikanth of India beat Ireland's Nhat Nguyen 21-15, 21-16. Momota and Srikanth are now the highest remaining seeds in their half of the men's bracket following the unexpected withdrawal of No. 2 Lee Chong Wei and No. 4 Son Wan Ho prior to the tournament. Taiwan's Daren Liew prevailed in a 21-12, 21-16 upset over No. 13 seed Jonatan Christie of Indonesia. World champion Axelsen started his title defense with a dominating 21-8, 21-7 win over Duarte Anjo on Monday. 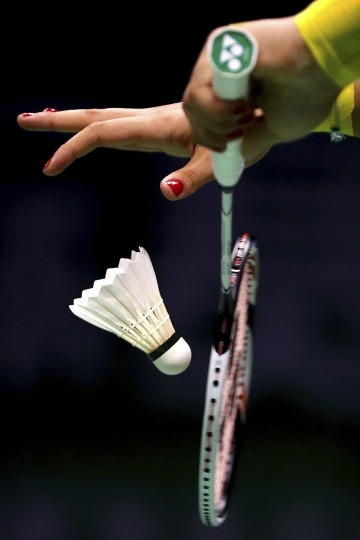 In mixed doubles, top-seeded Zheng Siwei and Huang Yaqiong of China beat Evgenij Dremin and Evgenia Dimova 21-13, 21-10.